To Invite Review for your submission, simply click the buttons below by the editors. 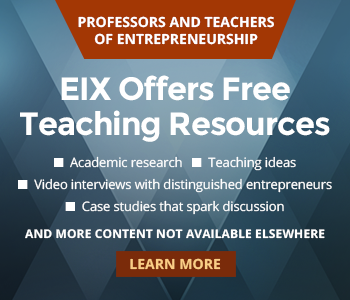 The community of EIX editors and reviewers includes a special group of highly qualified thought leaders from academia and industry who have agreed to provide objective and thoughtful review of submissions that match their interests or industries. The EIX platform allows for a type of "match making" between submissions and potential reviewers and editors. In addition to providing reviews and feedback to authors, editors have the added ability to endorse submissions for publication. Endorsement of a submission by a requisite number of editors expedites the publishing process for a submission and also provides visibility for the published submission of editors who will vouch for the relevance and outstanding quality of the submission.